A message from the stars… Can you solve the mystery? Sign-up to our newsletter and play The Makers of Music, a free interactive adventure that crosses the Phantom Pact universe with our own. You could win a $100 Amazon Gift Card. 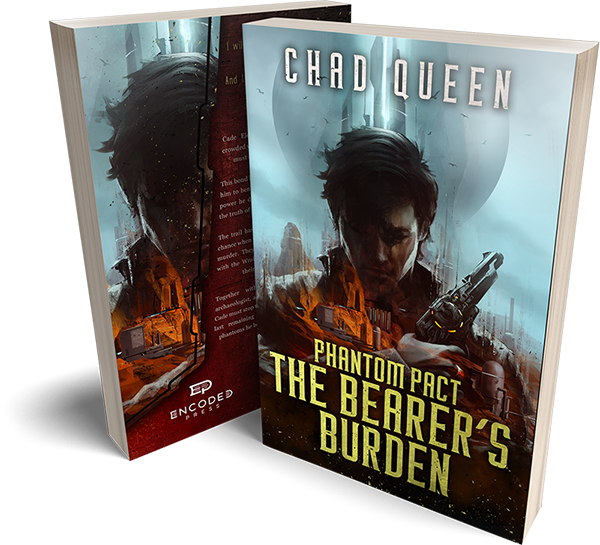 You can enjoy the game without having read Phantom Pact: The Bearer’s Burden. You will receive a free sample ebook. You will receive updates about Phantom Pact, including deleted scenes and future giveaways. Contest rules and conditions: You must play the game to win. If you complete the interactive adventure, five additional entries in your name will be added. Contest ends September 29th 2018. Where would you like to send the newsletter? Enter your email address and we will send your download and link to the ARG. Privacy pledge - I'll never release your data to anyone, ever. And I will definitely not overload your inbox. If you ever want to stop receiving emails, it is quick and easy to do.